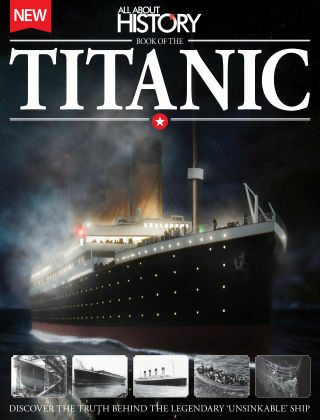 With Readly you can read All About History Book of The Titanic and thousands of other magazines on your tablet and smartphone. Get access to all with just one subscription. New releases and back issues – all included. "This bookazine tells the full story of the Titanic from the planning stages to the disaster itself, and is the perfect companion for anyone interested in the ship and its history. Here you will find the truth behind a tale that has become legendary, from the blueprints and dimensions from which the ship was born, to the treacherous conditions that would prove its end. You'll gain insights into the lives of those on board, the aftermath and quest for justice, and the more recent expeditions to inspect and preserve the wreckage of the ship itself. Featuring: Building the Titanic - The blueprints, dimensions and construction of the greatest ship of its time The Voyage - Learn what life was like on the ship before its fateful end The Collision - How the ship came to collide with the iceberg that would create its demise Exhibits - Take a look at rare memorabilia from the time and the ship itself, including tickets and letters"